With space at a premium there are some really clever ideas out there to make life easier with practical storage solutions. Storage… How To Maximise Space! Making the right storage decisions on a canal boat or narrowboat is critical. Most people moving on-board as a live aboard will be downsizing and even with the most rigorist de-cluttering you will still have plenty of possessions to find a home for, even just every day essentials such as crockery, cutlery, pots, pans and food etc. This also applies to those using the canal boat for leisure use, but clearly you are unlikely to need as much storage. 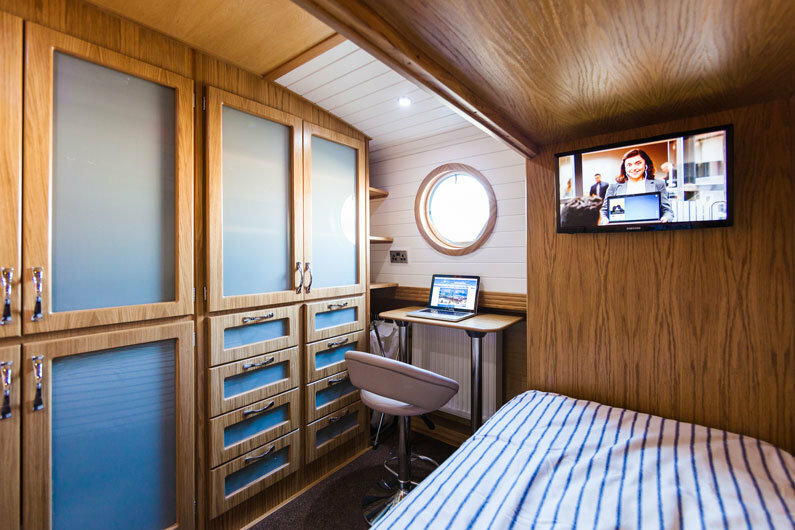 When viewing canal boats or narrowboats, particularly new builds, it is easy to be blinded by the ‘wow’ factor; it is really important to take your time to consider each room and visualise where your possessions will go. It is surprising how many new build boats have no wardrobes, is this something you could survive without? Many people may find this challenging! How many cupboards are there in the kitchen? Is there realistically enough by the time you have allocated space to all of your kitchen paraphernalia? Will you have a vacuum cleaner and/or ironing board? Where would these be stored? One of the great characteristics of a canal boat or narrowboat is all the nooks and spaces where storage can be utilised. 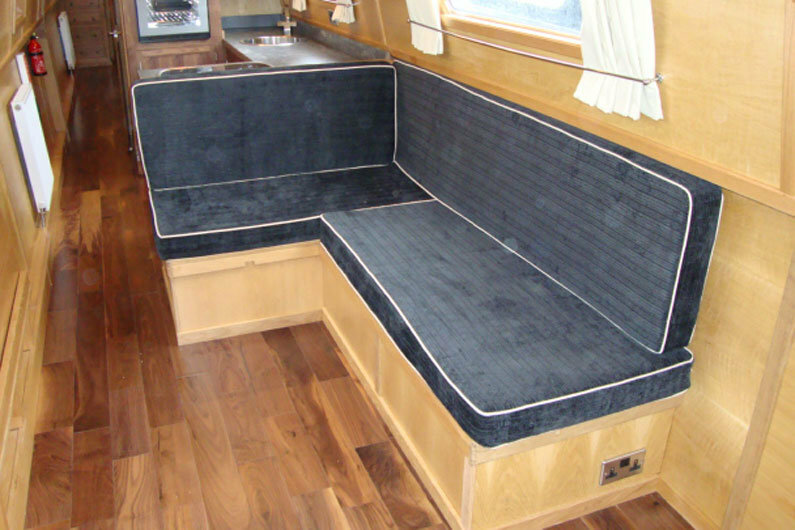 You can maximise your storage by being creative with any void space on your boat. If you are having a boat built it is the perfect opportunity to specify your storage requirements to the narrow boat builder. Is open shelving the ideal solution? Although it looks nice, it isn’t overly practical when cruising and can easily be converted in to cupboard space providing additional storage. 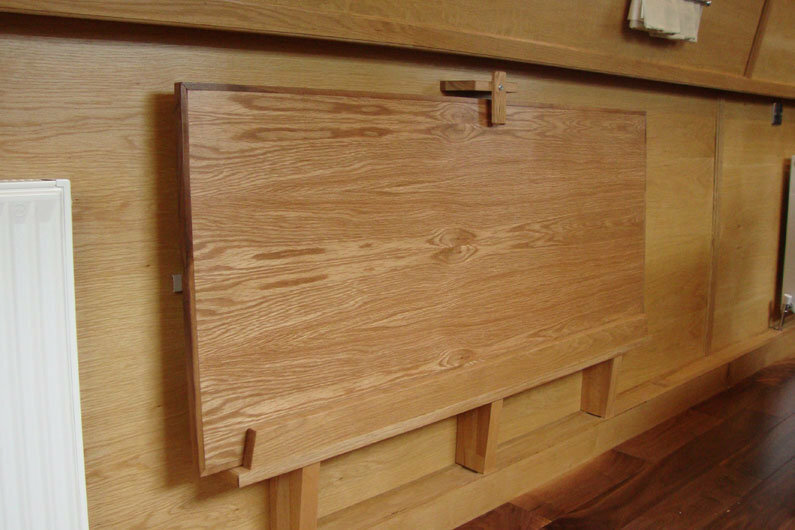 The Build Diary details the design journey undertaken when considering the storage on a widebeam. Also in Designing the Layout section on the website there is additional information on considerations when thinking about your storage, such a symmetry, balance and practicality. A canal boat design consultation will help you decide on the best layout for your boat, ensuring all storage solutions are optimised. If you are purchasing a used boat, you will get a really good feel when viewing the boat if there is ample storage by how the narrow boat is presented and how the current owner uses the space available.